Share this product and receive a $2.22 sharing discount. What a classic style! 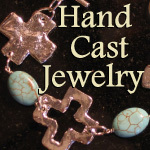 This hinged cuff bracelet is certain to be noticed. 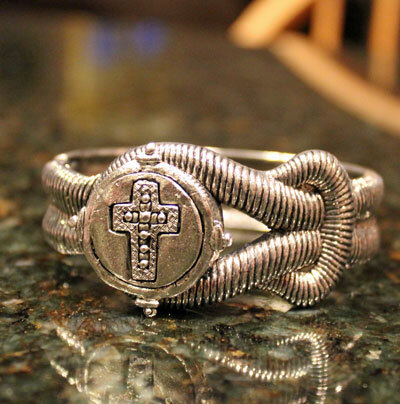 The rope design cuff is accented with a golden cross medallion. One size only. Fits small to medium wrists.